With its unique Art Deco Style design, the Hampton collection has a unique rectangular design. Available for both men and women, the Hampton Collection features a curved case to ensure the perfect fit for each wearer. Combining timeless design, and Swiss watchmaking, the Classima collection has an offering for both ladies and gentleman. Featuring self winding and quartz movements, Classima is the perfect collection for the person looking for a elegant timepiece. 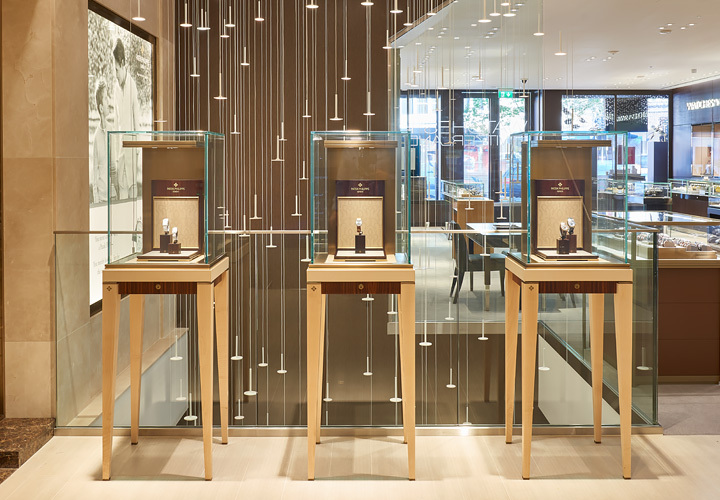 Inspired by a watch from the 1950&apos;s, the Clifton Collection showcases Baume & Mercier&apos;s watchmaking expertise. Featuring small complications, such as power reserve indicator and complete calendars, the Clifton Collection is suited for a Gentleman looking for a classic, yet contemporary timepiece. 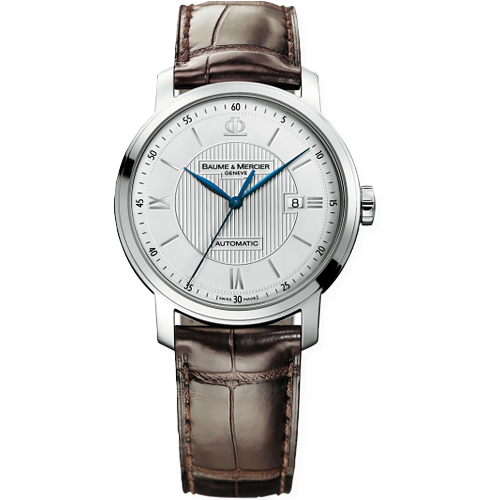 My Classima is perfect for the lady or gentleman looking to purchase their first Swiss Watch. Priced at under £1000 and driven by a swiss-made quartz movement, the contempory design is perfectly suited for the modern professional looking for their first Swiss timepiece. 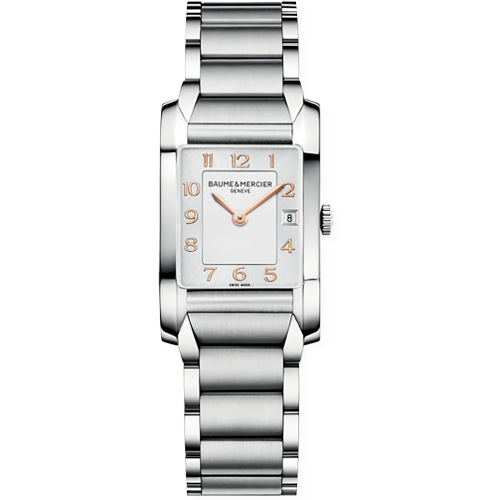 The Clifton Baumatic features the first in house movement from Baume & Mercier. The new movement has been designed with the wearer in mind, with a five day power reserve and antimagnetic to 1500 Gauss. It also has an increased accuracy only losing and gaining -4s/+6s. 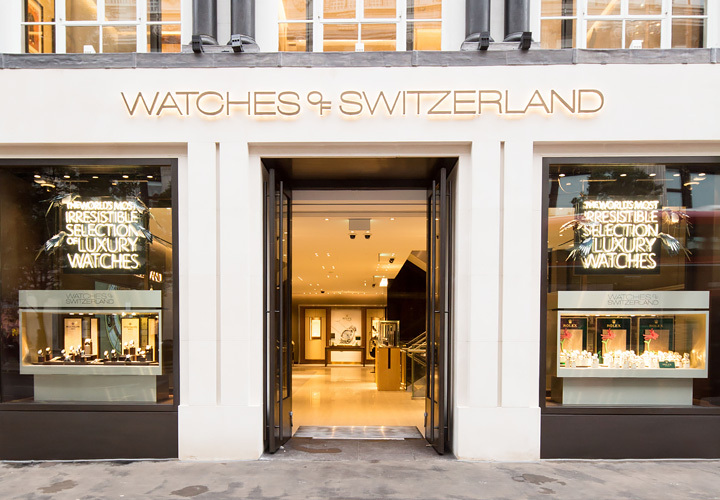 Due to the increased reliability of the movement, the service life has also been extended meaning the Baumatic collection needs to be serviced every 5 years, rather than every 3. 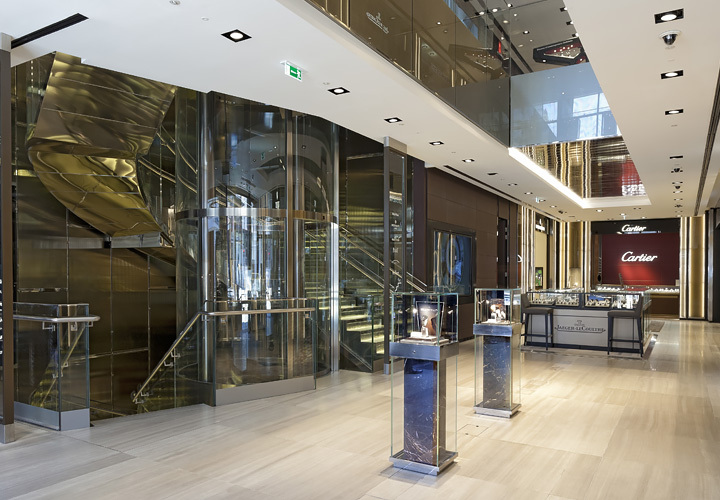 Baume & Mercier is one of the oldest Swiss watchmaking Maisons, established in 1830. 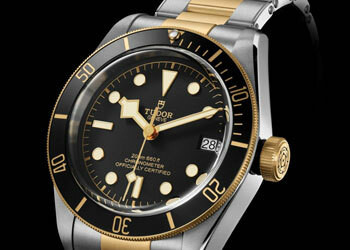 The brand has always carried with it powerful emotional and festive connotations while expressing watchmaking excellence. In all its creations a distinct motto established by its founders "Brothers Louis-Victor and C'lestin Baume" is adhered to "Accept only perfection, only manufacture watches of the highest quality". For Baume & Mercier, time is more precious than a sequence of seconds, minutes and hours: "life is about moments". Moments which should be celebrated. A Baume & Mercier watch is the perfect memory keeper ensuring these special moments are never forgotten. 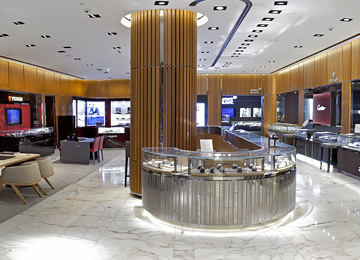 Baume & Mercier currently offers six distinct collections representing the best in watchmaking. 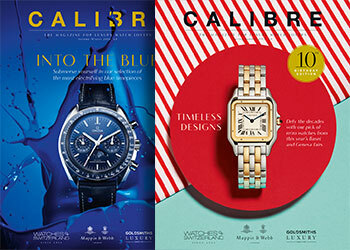 Hampton, square shaped for both men and women; Capeland, for chronographs and worldtimer watches; Classima for those with a penchant for classic design; Linea for dynamic women; Clifton for men looking for a classic yet contemporary piece and Promesse for women wanting something unique.